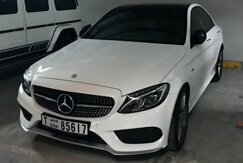 Rent Mercedes-Benz in Dubai at affordable prices. 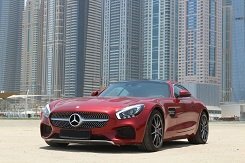 In our catalog there is a large selection of different models of the popular German concern: SUVs, sedans, convertibles, sports cars from Mercedes-Benz. 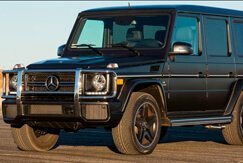 G63 - SUV with a powerful engine and excellent cross-country ability. The people are called "Gelentvagen". Aggressive appearance, powerful and everywhere-passable. A legendary car of all time. 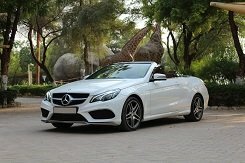 S63 Coupe - a special series of "Merc" S-class coupe convertible. Enjoy the environment at speed, comfortable handling and, of course, a powerful revolving engine. S-class - executive business sedan of increased comfort. For business meetings and simply comfortable travel around the city. C-Class Merchs are a practical and convenient car. The minimum fuel consumption, small dimensions, fast in the flow. 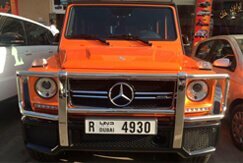 G500 4x4 - increased ground clearance for trips on barkhans, a complex desert. 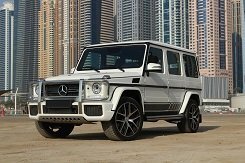 A great choice for extreme off-road driving. 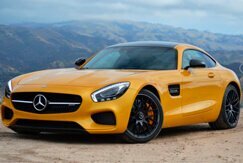 GTS AMG - certainly the fastest among the other Mercedes-Benz - sports cars. Powerful, daring, luxury! E-class. 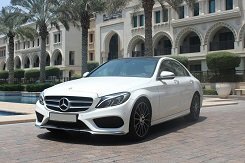 Between the business sedan of the S-Class and C. Under the hood is a turbocharged engine, and the small weight of the car allows you to record the car in a series of high-speed cars. Convenient and practical.